We enjoyed creating a new visual identity and communication concept for Centar Cvjetni, which would announce its new strategic direction and bring the new brand concept to life. Centar Cvjetni has become an integral part of Zagreb’s vibrant and elegant lifestyle in the city centre. Located in one of Zagreb’s most iconic and beautiful squares, Centar Cvjetni evokes feelings of beauty, urban vibrancy and nostalgia for the Zagreb of the old days. However, all things change and evolve, even the most beautiful ones. 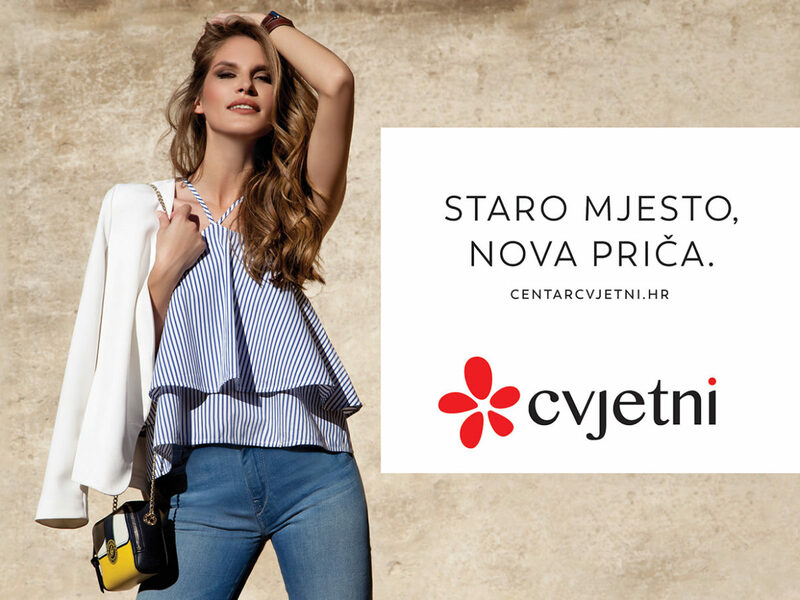 To announce changes in Centar Cvjetni’s ownership structure and strategic direction, we have created a concept which accentuates the distinctiveness of the mall’s location and acknowledges people’s bond with its historic meaning, at the same time playfully announcing a new story enfolding in its centre! The message “Staro mjesto, nova priča” (“Same place, different story”) highlights the duality of emotions – our love of nostalgia and excitement about the promise of a vibrant future! The subtle approach to announcing changes is meant to spark curiosity while preserving the air of elegance. The logo is more assertive. 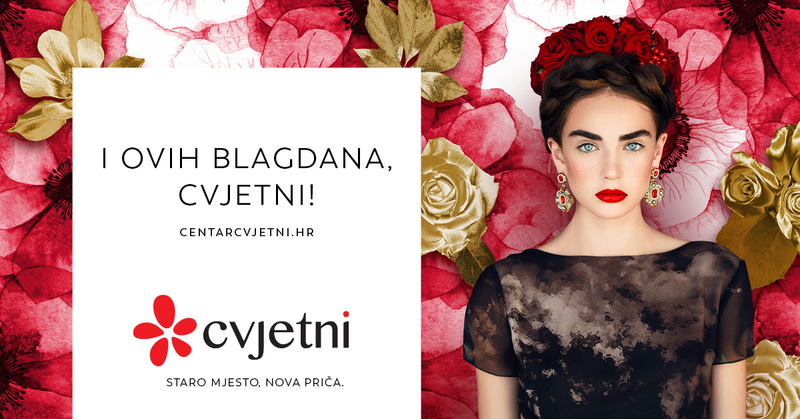 The red and black colours match the visual identity of Centar Cvjetni’s new owners (SUPERNOVA). To dispel any doubt, we have put the recognizable red dot at the end of this story as well! 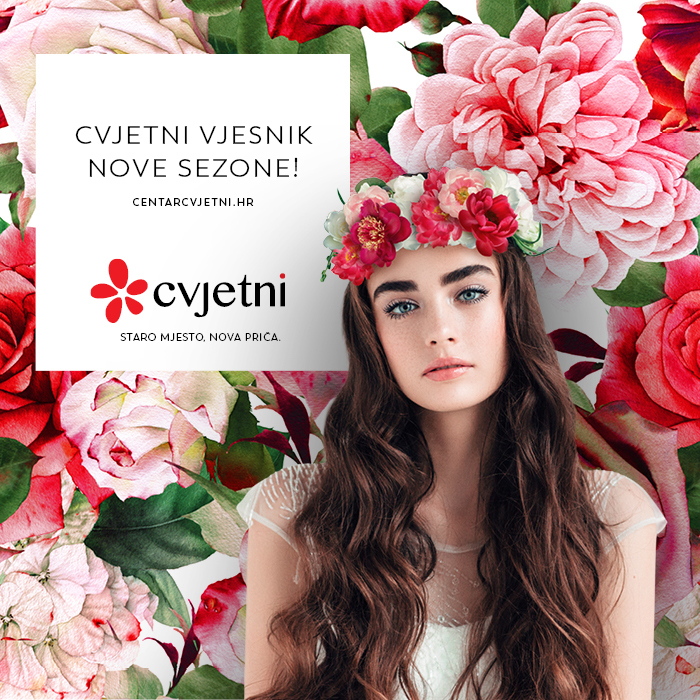 We have also seized the opportunity to highlight the mall’s unique bond with the location – the flower-shaped logo is a declaration of love to the Cvjetni Square. We witness its love of beauty – in full blossom! The visual narrative tells a story of a familiar place that inspires class and playfulness. Simple lines, elegant symmetry, warm tones and classic typography narrate the story of familiarity and youthful style set in the urban scenography of Zagreb. We are all part of this story. We continue our flower power in the next season with a fresh approach, emphasizing some more the identity through imagery.